Facelifts have been performed for over 100 years. Some records show that the first facelift was actually performed in 1901, but there were no reported facelift procedures until 10 to 15 years later. There are few procedures that have had so many dramatic changes and variations in their evolution. The first 50-60 years of facelifting included some interesting variations, but they were all procedures that simply pulled on the skin to create a tightening effect. In the early 1970s the techniques began to change, but the technique was not perfect. The typical facelift in the early 1970s was performed in a hospital and included spending an average of just over 4 days in the hospital. That is crazy! 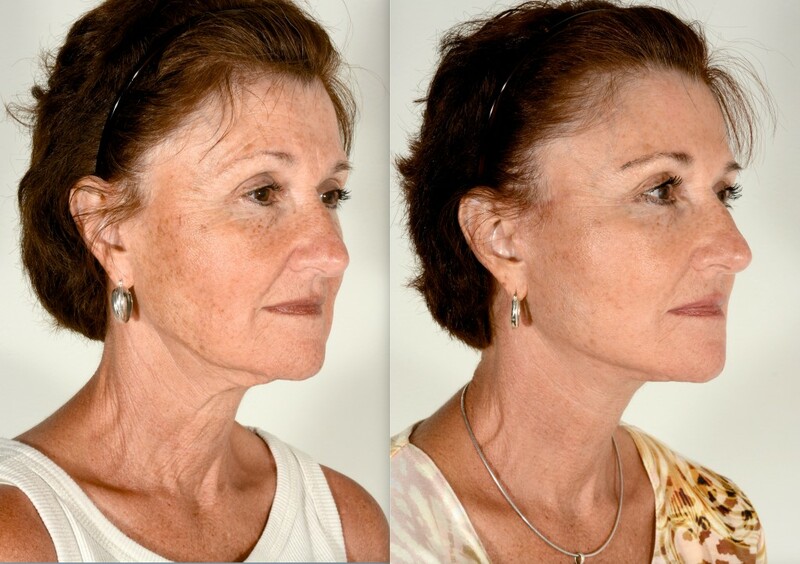 We have come a long way since the early days, but the biggest changes have occurred in the past 3 decades with changes in the way facelift surgeons address the deeper support layers. Many of the principles of anatomy that were crucial to advancing facelift techniques in the 1980s and 1990s are at the core of the modern facelift technique. The pendulum is always shifting, but we have seen a trend away from the minimally invasive mini-lifts with mini results that were popularized through mass marketing in the past 10-15 years. A facelift is not a procedure for cutting corners. This operation more than any other has the ability to single handedly provide an amazing level of regeneration and lasting change to the aging face, and if you are going to step beyond the temporary results of quick non-surgical fixes you need to do it right. You should have a procedure that is based on a modern understanding of what works and what looks appropriate. What is the SMAS? If you have done any research on facelifts you have most certainly come across this term. The superficial musculo-aponeurotic system (SMAS) is a layer of connective tissue, fat, and muscle that is beneath the skin in the area of the cheeks and jowls. It also blends in with the muscle layer in the neck. The SMAS can be thought of as the deeper support layer in the face. This layer was first thoroughly described in the 1970s and the concept of tightening the SMAS layer changed facelift surgery forever. Since then, there have been countless variations on how facelifts are performed, including many different ways to lift and support the deeper tissues of the face instead of just trying to stretch and tighten the skin. Plication involves using stitches alone to tighten the SMAS layer, which causes a bunching effect to lift the SMAS. Imbrication involves removing a small strip of the SMAS layer and then suturing the lower edge to the higher position. Dr. Rodwell’s preferred facelift technique involves undermining. With this method, the SMAS is loosened from it’s attachments underneath so that the whole SMAS can be lifted as a unit and shifted into the position that provides the best lift and support for a very natural appearing facelift without excess tension on the skin. The key to all of this is lifting and supporting in the right direction without over-tightening and always keeping in mind what will look most appropriate for each specific patient. “Mini-lifts” were all the rage 5-10 years ago. Unfortunately, mini lifts often give mini results, and one of several disadvantages with this type of procedure is that it often does not adequately treat the neck. Any patient who has enough jowling and cheek laxity to warrant a facelift most certainly needs some improvement in the neck as well. Supporting the lower cheek and jowl area does give some lift to the neck. However, some additional work can make a huge difference. Sometimes we perform liposuction to remove fullness from excess fat, but a technique that is even more important is something called a platysmaplasty. Those vertical bands that you see in the middle of the neck on some people are the middle edges of the platysma muscles. A platysmaplasty brings those two muscle edges back together in the middle and then also tightens the muscle from the sides creating a sling-like support for the neck. Excess loose skin is also treated, but the lasting effect for improving the neck relies heavily on the work done to the muscle layer. Many surgeons still use rubber surgical drains that are inserted under the skin and left in place for 1 or 2 days after a facelift. These are designed to collect any blood or other fluid that might collect under the skin. The rubber drainage tubes are removed either at home or in the office. Drains are simply a nuisance that do not need to be part of the modern facelift. Dr. Rodwell uses a medication called Artiss that is applied during the surgery. This is placed under the skin incision and helps to reduce bruising as well as provide support to the skin that has been lifted and tightened. Not only do you get to avoid having drains in the neck, but the results are improved with the use of Artiss. As a bonus, the recovery can be faster for many patients.